What if you saw your best friend take a serious blow to the head? You’d insist they get medical attention, right? But what if your friend refused to go because it’s too expensive? What would you say? Brain injuries can be deadly, and symptoms or severe issues may not show up right away. They can take hours to manifest, or possibly weeks or even years. They may affect victims for the rest of their lives. However, there are actions you can take to get on the right track, both physically and financially. Read on to get a complete picture of how a traumatic brain injury (TBI) can impact a person’s life — and what you need to do about it. Unlike other types of personal injuries, a traumatic brain injury isn’t a static event. Its effects can endure a lifetime, punctuated by ongoing surgeries, rehabilitation efforts and medical attention. Sadly, too many people fail to seek medical attention after a knock to the head because they don’t think it’s serious. However, even hitting your head and losing consciousness for a few seconds is cause for a trip to the doctor or ER. You never know just how serious your head injury is until it’s too late. If left untreated, brain injury symptoms often get worse. At first, it can seem as there is no damage and everything is OK, but what you don’t realize is that there may be a brain bleed, and as the blood accumulates and the swelling and pressure builds up, more and more damage gets done, and by the time you start to experience symptoms, the damage may be irreversible and possibly fatal. An example of this is the tragic and avoidable death of the beautiful Natasha Richardson in 2009. She hit her head in a ski accident, and lost consciousness for a few moments. She was repeatedly advised to go to the ER, but she refused, and was actually laughing and even joking about the incident. But within a few hours, she deteriorated rapidly, and sadly passed away. Do you feel confused, lightheaded or irritable after a knock to the head? Go to the doctor. Have you lost consciousness, vomited, or experienced a seizure as the result of a bad blow to the head? Skip the doctor and head immediately to the ER. Immediately! A TBI isn’t always a solitary moment in time. Victims can experience chronic, life-long symptoms characterized by decline over time. But your insurance company will only pay so much. With those ongoing medical and therapy visits translating to thousands and hundreds of thousands of dollars over the long haul, it boggles the mind to think of how you could possibly pay for them, especially if your injury leads to eventual job loss. This is why you need to call the brain injury attorneys at Kuzyk Law. Hiring a lawyer who doesn’t handle brain injury cases on a daily basis is like hiring a doctor who fails to keep up with the latest advancements in medical research. Retaining the skills of a specialized traumatic brain injury lawyer from the start is your best shot at gaining adequate compensation. Traumatic brain injuries don’t always manifest right away. The human brain is so complex that even the brightest medical doctors and scientists don’t know everything there is to know about this most important organ in the body. No one knows for certain how the brain will react to an injury, or even WHEN. Getting a standard x-ray after your accident can’t tell much, and even a CT scan can look normal even if a brain injury has occurred, according to Brainline.org. So the scope of a TBI and its overwhelming nature cannot be predicted. Evidence of TBI may be missed initially, especially in severe injury cases when a medical team is focused on saving the individual’s life and there are other injuries involved. While technology has advanced exponentially over the years, the effects of TBI are significant. There are two classifications of TBI: mild and severe. Overall, the top three causes of TBI are car accidents (including truck accidents and motorcycle accidents), firearms accidents and falls. Young adults and the elderly are most at risk for TBI, and to make matters worse, a person with TBI is also more susceptible to spinal cord injury, another devastating personal injury that we see every day. Traumatic brain injuries are some of the worst cases we see here at Kuzyk Law, perhaps because they are so far-reaching, unknown, and in many cases, lifelong. They bring heartache to families who must care for a loved one with TBI, and if that person was the breadwinner and lost his or her job, the financial consequences can be equally as devastating. TBI can, at the very least, result in concussion that requires a week or more of taking it easy while the injury to the brain heals. This is fairly common in sports, such as youth soccer or football. Slips and falls as well as whiplash can also result in concussions. In the worst cases, deadly brain swelling, paralysis, loss of motor functioning, memory loss and wild personality changes can occur. These often arise from a violent attack, car accident or major fall. That’s why it’s important to watch out for even the slightest signs of brain injury, even if the injury seems like no big deal at first. While symptoms vary by person, the NIH outlines these common symptoms to watch out for. Of course, if you or a loved one has suffered an apparent bad blow to the head as the result of an attack, car accident or fall, you shouldn’t wait for symptoms to appear. Get to the doctor or ER immediately. Failure to do so can have life threatening consequences. It’s this line of thinking that has gotten unsuspecting victims of TBI killed. In fact, it’s quite common for someone who’s had a fall or been in a car accident to appear perfectly lucid following the impact but then to suddenly, rapidly deteriorate, according to CNN. Dr. Carmelo Graffagnino, director of Duke University Medical Center’s Neurosciences Critical Care Unit, states that a patient can appear deceivingly normal upon first observation but inside the brain, there may be a bleed that is building up pressure. This is exactly what happened to actress Natasha Richardson in 2009 when she fell while skiing. She was talking and joking later on, but after returning to her room, she fell ill with head pain and was taken to the hospital, where she died of her TBI injuries. She’s not the only case. Sadly, many people ignore their symptoms and fall ill or meet their untimely demise hours or days later. Confusion and headaches are obvious symptoms; memory loss and personality changes often take a while to become clear. Let your doctor decide if you’re OK or not. It never hurts to get a medical opinion before moving on with your life. Skip this step and you could be setting yourself up for disaster. When left untreated or misdiagnosed, brain injuries can trigger problems later on, including depression, which is one of the more common after-effects of TBI. Along with depression can come mood changes and irritability punctuated by intense frustration with the recovery process. These feelings can all contribute to the downward spiral of the victim, culminating in a range of physical and emotional difficulties that can change lives. One would think that mild TBIs are the easiest to treat; however, that’s not the case. In fact, they are often more difficult to treat simply due to the lack of defined symptoms and the likelihood of being misdiagnosed for something less severe. Aside from death and obvious impairment, perhaps even more frightening is what’s slowly brewing under the surface. TBIs don’t always scream “head injury” – more often than not, they manifest in small changes that cause concern but don’t always catch the attention of patients, their families and even the insurance companies until well after the fact. Failing to get treatment in a timely manner can lead to changes over time – some so subtle you may not connect them with the initial accident at first. Mood disorders, behavioral issues, memory issues, and more can cause stress and strife within a family, especially when you don’t know where to turn. As a result, there are secondary fallouts from TBI, with the effects of the initial injuries leading to divorce, broken families, depression, financial hardship, bankruptcy, and even suicidal ideation. A 41-year Swedish study found a link between TBI patients and suicide, fatal injuries and other causes of premature mortality. The study concluded that traumatic brain injury is associated with substantially elevated risks of premature mortality, particularly for suicide, injuries, substance abuse, and assaults after suffering from TBI. When faced with the prospect of clearing your schedule and seeing the doctor, possibly coupled with a copay, you may not think beyond the initial annoyance of having something checked out. You may feel you can’t afford the associated bill that comes with that checkup. But when it comes right down to it: what’s more important, money or your quality of life? Get treatment! It could save your life, or that of your child, spouse, parent or other loved one. It’s better to feel paranoid seeking treatment than experience painful regret later. Call Kuzyk Law at 661-945-6969 for additional help–especially in getting compensated for the costs of your injury! Also, there are doctors that will wait to get paid until you get your settlement, so you have little or no out of pocket cost up front. It’s true that while you can’t put a price on the emotional and physical issues that result from a traumatic brain injury, there is certainly a high price tag associated with the financial burden in the aftermath of such an injury. 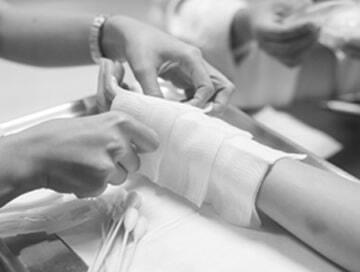 That price tag varies widely by patient, type of injury, medical care, rehabilitation and ongoing care needs. Acute rehabilitation costs for survivors of a severe TBI: $1,000 a day, with the average hospital stay of 55 days. Average costs rise for those who need ongoing rehabilitation: $196,000 for survivors receiving rehabilitation services compared to $18,000 for those with no rehabilitation. The costs can start building up immediately after the TBI occurs, as families struggle to pay bills and manage finances while the victim is undergoing medical attention, therapy and more. In the case of severe TBI, the victim is unable to return to work, and if he or she is the main financial supporter of the family, this can send everything into a tailspin. That lost income can impair the ability to manage debt, current and future medical bills, and over the long term, cognitive problems that can affect overall financial management. What happens? You may face a big financial struggle on top of the emotional and physical one. Accumulating debt can lead to bankruptcy, which is often a trigger for divorce and even suicide, as we talked about above. So many variables come into play, and when coupled with little research and the complex nature of the brain, it becomes difficult to determine a set cost for TBIs. What IS known is that the costs involved can be staggering. Securing compensation now before it’s too late to recover what you deserve is of paramount importance. You need an experienced lawyer on your side to maximize insurance and governmental benefits. You may assume the insurance company will naturally pay out all claims to their fullest extent, but the truth of the matter is, they don’t. Their main objective is to get you paid (with a paltry amount, by the way) just to clear you off their books in the hopes you will go away quietly. We’ve been told since kindergarten to “get what you get and don’t get upset” — but this mentality can be extremely destructive to victims and family units as they realize too late that being nice or appreciative didn’t get them very far. It’s in your best interests to seek fair compensation fairly quickly after the incident. The longer you wait to call a qualified attorney, the worsening chances of seeing a favorable conclusion to your case. Seeking Legal Counsel: Do You Have a Case? 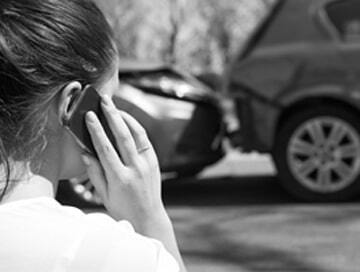 A big part of determining if you have a solid case is the ability to connect the injuries you sustained after an accident with negligence on the part of someone else. Not all brain injuries are attributed to the fault of another party. Sometimes accidents just happen. A teen boy heads the ball in a soccer game and is out for weeks with a severe concussion. Who is to blame? Often, no one. It’s a hazard of play. However, if that same teen boy slipped on any icy sidewalk outside a store whose owner neglected to ensure safe conditions for customers, that situation could result in a possible case. Other conditions where blame can be placed on another party include violent assaults or car accidents where the other motorist was drunk behind the wheel or just plain careless. There’s no black and white checklist to go through when determining the validity of a case. To know for sure, you need the assistance of an experienced personal injury law firm. A brain injury attorney can guide you through the process of receiving compensation for medical bills, surgeries, rehab, lost wages, pain and suffering, and emotional distress. The strength of your case depends on several factors, too, such as how quickly you seek legal representation, the extent of your injuries and how well documented those injuries are. You need someone well versed in personal injury law, to be sure, but also TBI in particular. Kuzyk Law has vast experience in successfully dealing with traumatic brain injury cases, with more than 100,000 clients throughout the greater Los Angeles area entrusting their personal injury cases to us in 45 years of operation. Consequently, we have helped recover more than $1 billion on behalf of our injured clients since 1971, thanks to our dedication and persistence to thoroughly investigate claims, challenge witness statements, and recreate accidents to determine liability. Once you leave the doctor’s office, you may feel even more confused and stressed than when you went in. Indeed, it can be overwhelming hearing you have a TBI and how you must face daily life differently. You likely have a slew of appointments to add to your calendar, from therapy visits to future surgeries. Then, panic may set in. How will you pay for it all? Should you take the insurance company’s payout (NO!)? To whom can you turn for advice? It’s perfectly natural to feel that way — just pick up the phone and call us, and we will help guide you. The bottom line is this: we all experience head injuries at some point in our lives, whether as kids playing football in the yard or as adults slipping on an icy sidewalk. Not all will result in permanent brain injury. But how can you really be sure what’s to come down the line? It’s always better to play it safe. Get to a doctor immediately following a bump or blow to the head. Get checked out. Even if you’re deemed OK, isn’t it better to hear you’re just fine than wait and regret that decision hours or weeks later when it turns out you’re not? And contact Kuzyk Law at 661-945-6969 as soon as you can. Our qualified brain injury attorneys can take over from there and guide you in the right direction. Based in Lancaster, CA, we serve all of Southern California, including Los Angeles, San Bernardino and Riverside Counties. Call us today for a free case evaluation over the phone or in person. Your financial future depends on how quickly you act. If you have suffered a TBI, or your loved one is displaying signs of a TBI but won’t concede treatment because they “feel fine,” call us for advice.